A small business champion with sound, effective tax know-how and IP insight. Putting together a team to help your business succeed is almost as hard as running the business itself. Sometimes it pays to call upon external resources when you don’t have the time and necessary expertise to handle complex business transactions, along with all the associated tax and legal issues. When you get to that point, Amy Bishop can assist you in every corner of commercial and corporate law… her expertise and know-how will be a welcome addition to your operation. Amy is a pivotal component of both our tax and intellectual property teams, with a wealth of knowledge in commercial and corporate law. She acts for numerous clients assisting them to achieve success through sound business structuring which is both tax-effective and enhances intellectual property protection. Along with her impressive commercial and corporate knowledge, and accurate understanding of the needs of small businesses, Amy is also familiar with the unique requirements of not-for-profit (NFP) clients and has advised many such organisations on a range of compliance matters. With a reputation as an energetic, thorough and tenacious lawyer, Amy’s experience in taxation law means you can rely on her for guidance in areas such as GST, stamp duty, payroll tax issues, land holder and land tax aggregation matters relating to small business. In the intellectual property space Amy has been involved in trade mark registrations, both in Australia and internationally, negotiation of oppositions and intellectual property assignments. She is well placed to promote innovation with her unique mix of tax and intellectual property knowledge. Other areas where Amy can advise include managing risk, tax savings, stamp duty savings through concessions, protection of business assets, establishment of trusts, and compliance with taxation requirements to name just a few. 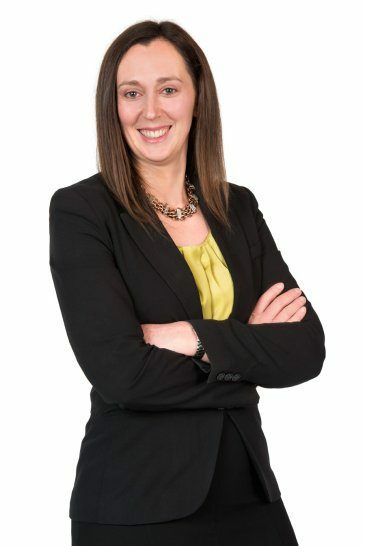 Additionally, Amy’s corporate law experience means you can call on her to help with general company dealings, share structuring, officeholder changes, drafting and updating constitutions, and compliance requirements in various areas of corporate law, including the winding up and liquidation of businesses. 16 March 2017 | Trade Marks – If you trade, make sure you leave your mark!